Enterprises will typically sign a Service Level Agreement (SLA) with a service provider for their communication path through a network. The SLA contains worst case values for parameters like bandwidth, latency, packet jitter, frame loss ratio and availability. The service provider can conduct RFC 2544 and Y.1564 tests to verify that the requirements in the SLA are met. However, even if the tests show that all criteria are fulfilled, the enterprises may complain that they get less bandwidth than expected or that they experience long response times from the applications they use. The reason for the complaints will in many cases be non-optimal configuration of the Transmission Control Protocol (TCP). TCP improves the “best effort” nature of IP networks by adding mechanisms guaranteeing that data sent to a recipient will actually be delivered and in the right order. To provide this functionality TCP buffer the data at both sending and receiving end of a connection. If the buffers are not dimensioned correctly, customers may experience performance degradation. In RFC 6349 the Internet Engineering Task Force (IETF) has defined a “Framework for TCP Throughput Testing”, providing a methodology for testing sustained TCP Layer performance. In addition to finding the TCP throughput at the optimal buffer size, RFC 6349 presents metrics that can be used to better understand the results. 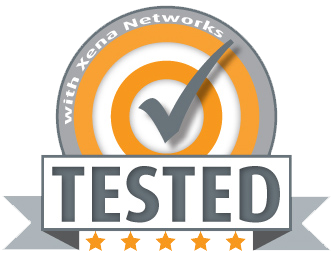 The Xena layer 4-7 test solution VulcanBay supports powerful TCP testing based on RCF 6349. 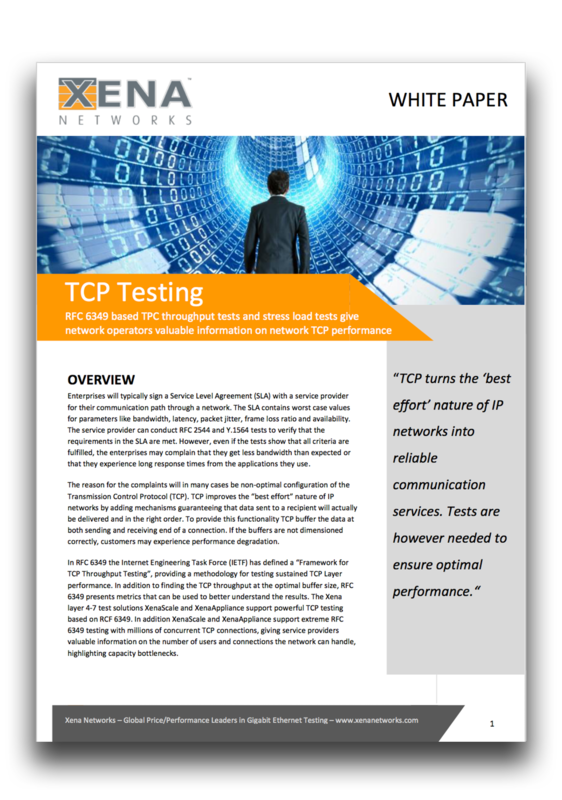 In addition VulcanBay supports extreme RFC 6349 testing with millions of concurrent TCP connections, giving service providers valuable information on the number of users and connections the network can handle, highlighting capacity bottlenecks.